PotCoin (code: POT) is a peer-to-peer cryptocurrency which exists with the aim of becoming the standard form of payment for the legalized cannabis industry. PotCoin is an open source software project released under the MIT/X11 license and was technically nearly identical to Litecoin until August 23, 2015, when Potcoin changed to Proof-of-Stake-Velocity (PoSV) similar to Reddcoin. (​4⁄20; 420, etc) is actually a term which is associated with the cannabis consumption. The nicknames of PotCoin developers are Hasoshi, Mr. Jones and Smokemon 514. The nicknames of PotCoin developers are Hasoshi, Mr. Jones and Smokemon 514. On August 23, 2015, Potlabs released an update for Potcoin, one that was very anticipated. With this Potcoin began its move to the POSV algorithm. Over the next few weeks there were some issues with the network getting up to speed. Many cryptocurrency exchanges also froze their Potcoin wallets waiting to see what would happen. Within a few weeks the network began to get up to speed and when exchanges were notified they began to unfreeze their wallets allowing normal transactions to resume. 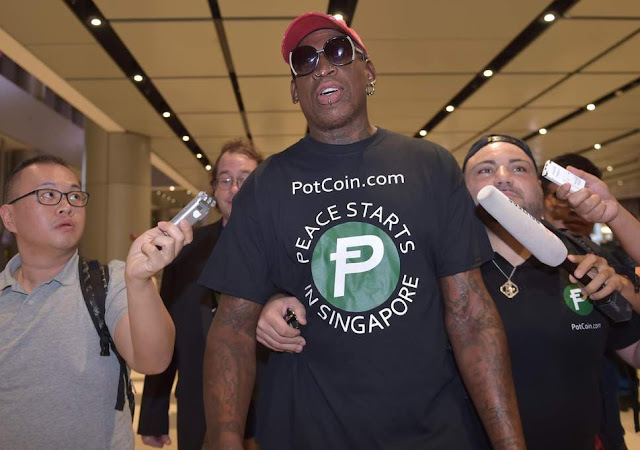 On June 13, 2018, PotCoin sponsored Ex-NBA Star Dennis Rodman's fifth trip to North Korea. From release to sponsering Rodham's Korea trip. Invest in LiteCoin on eToro the World's Best Social Trading Network!